Hey there! I’m Alisha Jones-Cotton, the creator of Tricky Vibes, a beauty, fashion, and lifestyle blog. In the past few years I have had some MAJOR successes (and failures :) ) when it comes to navigating the blogging world. What I’ve learned between making money and bumping my head is that there are A LOT of folks out there who want to start their own blog but don’t know where to start, or how to build a personable brand, or how to turn that hard work intoooo money in da bank gurrrl! It’s ok, I got you. I have created a blogging course designed to give you the tools you need to start from nothing to making your web presence everything you want it to be! 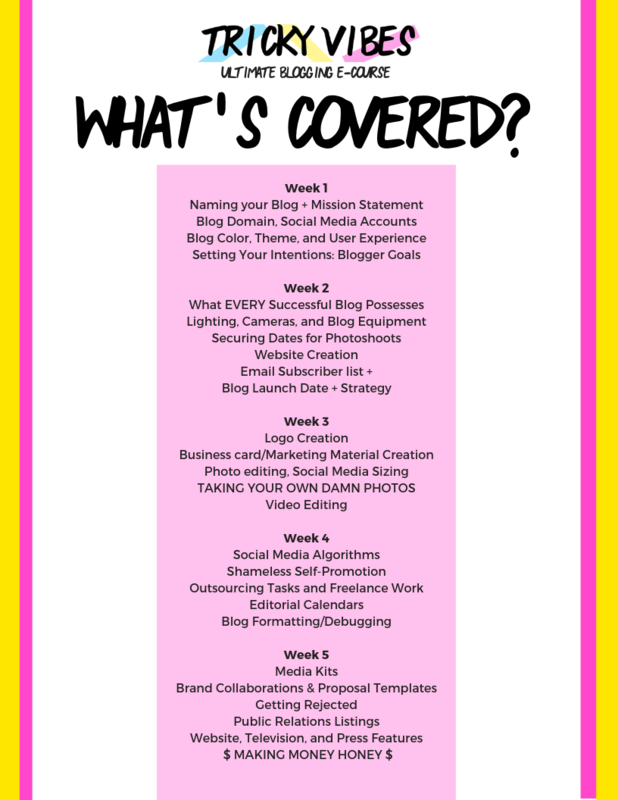 Whether it’s breaking into the blogging/vlogging scene or becoming ‘INSTA-FAMOUS’, this five week course will walk you through all of the nuances and ‘secrets’ of the game to make YOU successful. On top of that I give you weekly action steps to complete- because STARTING is the hardest part. The course will be available March 1, 2019 at a reasonable price (because I’ve seen some astronomical prices out there) and my subscribers will be the FIRST to know….. and maybe even get a lil’ discount! Don’t miss out on your next big move.